Self-educated food expert, Adam is known as being the host of the hit food travel show ‘Man Vs. Food’. Adam Richman grew up in the food Mecca of New York City and began his love affair with food early on, sampling all of the diverse culinary specialties The Big Apple had to offer. From samosas to sushi, even at a young age, Adam had a desire to taste it all. A self-educated food expert and trained sushi chef, since 1995 he has kept a travel journal including each of the restaurants he visited and what he learned from the trip. 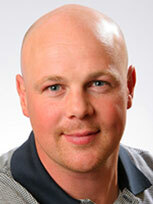 Adam has subsequently worked in nearly every echelon of the restaurant world coast-to-coast. The nature of his work allowed him to feed his appetite for discovering the best local dishes across America, all of which found their way into his ever-expanding food journal. Although described as a bit on the husky side, to maintain his health while indulging for his show on The Travel Channel’s Man v. Food (which he began hosting in 2008), Richman exercises twice a day while he is on the road. Anjum Anand is best known for being a British Indian chef. 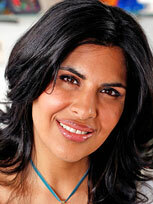 Anjum Anand is a British Indian food writer and TV chef of Indian cuisine. 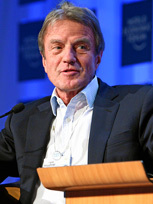 Bernard Kouchner is best known as the former French Minister for Foreign and European Affairs. The humanitarian activist and former Health Minister Bernard Kouchner is widely admired in France, not least for his passionate, often outspoken declarations on human rights and the need to intervene to protect them. 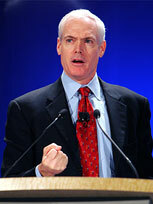 Brian Turner is best known for being a Chef. 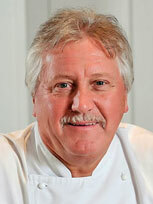 Brian Turner is a British chef, based in London. 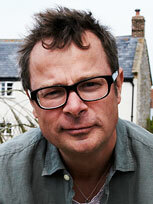 He has appeared as a cook on BBC2's Ready Steady Cook since 1994 as well as presenting other cookery programmes. 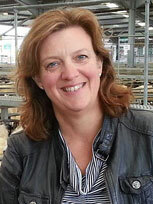 Charlotte Smith is best known for presenting Farming Today on Radio 4. 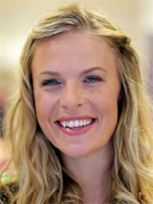 Charlotte Smith is a Radio Presenter with experience as a reporter, producer and presenter. ChefFed is best known as a Journalist and Entrepreneur. 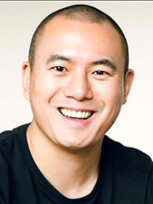 ChefFed is a journalist, and entrepreneur with a unique penchant for creating memorable cooking and dining experiences. Cherry Healey is a British television presenter. Best known for her hugely successful and immersive BBC3 documentaries, Cherry is now a well-known consumer presenter for the BBC. Chris fits more into a year than most do in ten. He is impressive and the most inspirational speaker - he really gets people motivated and actually doing something about it! 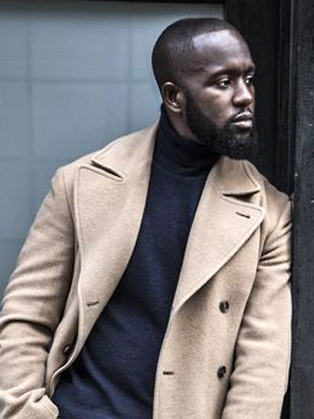 Named one of the top 7 most powerful part-time working men in the UK, Chris developed the ‘Out Of Office’ framework - working where he likes so that he can achieve more – productivity and creativity at work and lifetime ambitions and bucket list activities. The most frequent word that crops up in the reviews is ‘inspirational’. 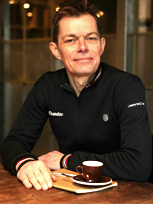 Chris has been there and done it, from founding and selling companies for multi-millions to cycling the whole of the 100th Le Tour de France route. 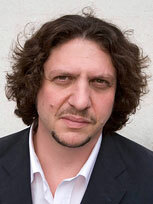 Best known for presenting BAFTA-winning Channel 4 show, "Embarrassing Bodies". 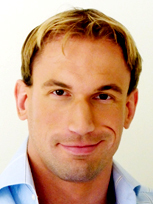 Dr Christian Jessen is the charismatic presenter of Channel 4's Embarrassing Illnesses, Supersize vs Superskinny and, most recently, the BAFTA-winning Embarrassing Bodies. 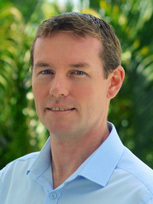 Dr Christian is involved in a number of public campaigns and he works closely with various health charities to help look for new ways to educate people in health matters. 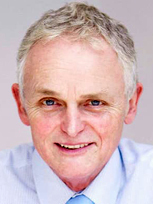 His main aim is to help raise medical awareness and simplify, demystify, de-stigmatise and explain the sometimes complicated and inaccessible world of medicine to the public. 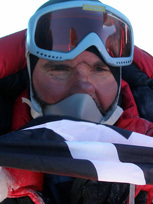 Conrad guided Prince Harry to the South Pole with the Walking With The Wounded Team and is the first and only Briton to have completed the Polar Grand Slam. 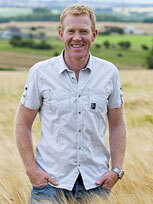 A born and bred Northumbrian, Conrad has enjoyed the outdoors since he was a boy. 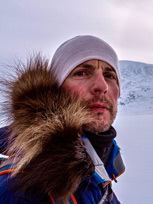 Conrad is the first and only Briton to have achieved the ‘Polar Grand Slam’ – completing the World’s recognised three hardest Polar journeys, crossing Greenland; the Antarctic plateau to reach the South Pole and the Arctic to the North Pole, all unsupported. Conrad became a Captain during his Short Service Commission in the Army and specialized in Arctic Warfare whilst training in Norway. 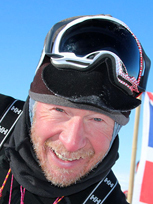 In 2011 Conrad trained the BBC film crew and Blue Peter presenter Helen Skelton for her successful trip to the South Pole. A legendary actress and Broadway star, Angela has taken to the London stage for the first time in 40 years as Madame Arcati in Noel Coward's Blithe Spirit at the Gielgud Theatre. 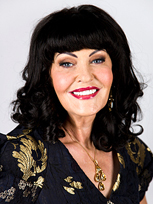 Early reviews have said that Angela is wowing crowds with her brilliant performance. The show runs through this summer. 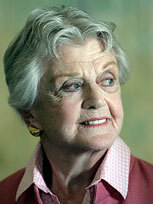 The Queen has recently recognized Angela’s contribution to the acting world with a knighthood. Angela’s recent successes have also included the reception of an honorary Oscar award recognizing her 70 years in show business, which began in 1943 when she signed with MGM. Danny is a loved Chef and TV Host. As star of the Food Network's hit show Rescue Chef, Danny Boome is a superhero in the kitchen, able to solve any kitchen crisis while pleasing the pickiest of eaters. 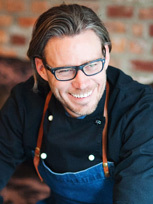 Incredibly charismatic and energetic, Boome provides practical eating advice for aspiring cooks of any skill level. A strong believer that a healthy meal enhances both body and mind, his handy tips are designed to provide essential nutrition on the go. 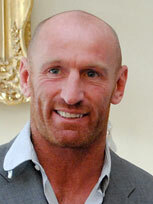 English television presenter most well known for presenting Big Brother. 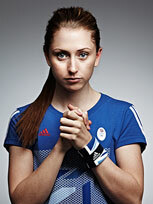 Davina Lucy Pascale McCall is an English television presenter. She has hosted Channel 4's The Million Pound Drop Live, Five Minutes to a Fortune and The Jump, Sky1's Got to Dance, as well as ITV's Long Lost Family and Stepping Out. 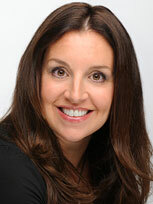 Dr Deborah Cohen is an award winning medically qualified TV, print and radio reporter. 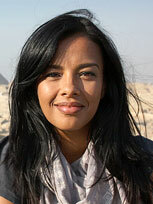 Deborah is currently an associate editor and freelance journalist working for the BBC. As of 2019 Deborah is working as a correspondent for Newsnight. 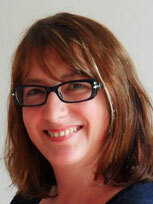 Dr Deborah Cohen is the former investigations editor of the BMJ. 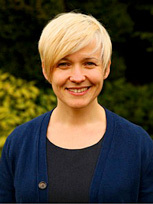 As investigations editor of the BMJ, much of her work has focused on drug and medical device regulation, access to clinical data, cost of medicines, research integrity and conflicts of interest. 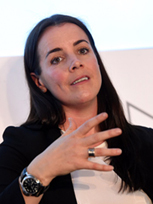 She has collaborated on documentaries with the BBC Panorama and Newsnight, Channel 4 News and Dispatches, The Telegraph, as well has having worked with the Cochrane Collaboration. 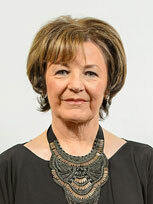 Delia Smith is best known for being an English cook and television presenter. 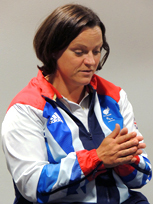 Delia Smith is an English cook and television presenter, known for teaching basic cookery skills. 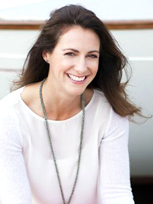 She is the UK's best-selling cookery author, with more than 21 million copies sold. 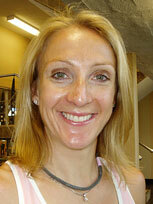 Dr Faye Kirkland is a freelance broadcast journalist and has been a doctor for more than a decade. 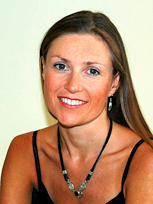 Dr Faye Kirkland continues to work as a general practitioner in London and uses her background knowledge to investigate topics; recent pieces include exposing poor care by doctors who prescribe online, a lack of funding for HIV testing in the UK and leaked A&E winter performance figures for England. 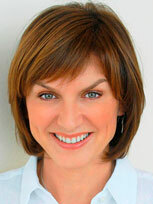 Fiona is an award winning news presenter, being one of BBC's most experienced and high profile newscaster. 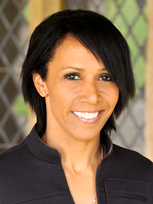 Fiona is one of the BBC's most experienced and high profile news presenter, being named the 'Newscaster of the Year' in 2003 at the Television and Radio Industry Awards. 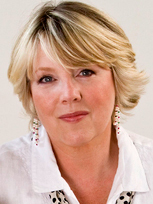 Since joining the BBC in 1989, Fiona has presented multiple programmes, including BBC News at Six, BBC News at Ten, CrimeWatch, and most recently the Antiques Roadshow. Head of Winning Behaviours and Director of Business Operations, Fran heads up the business and people functions within the world’s most successful cycling team. 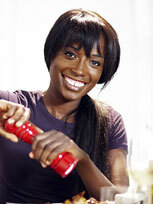 Fran is a huge hit with audiences both in the UK and internationally. 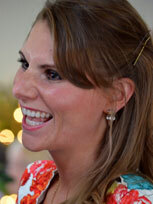 Her passion for her subject coupled with her natural delivery style is always well received. 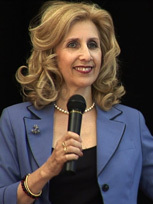 She is one of the most engaging speakers that we have ever worked with and which an entire audience can relate to. 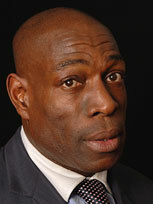 Frank Bruno MBE is a former professional heavyweight boxer. 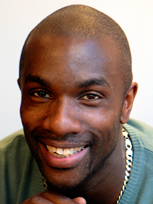 Frank Bruno is an English former professional boxer who was known for his good punch power and whose career highlight was winning the WBC heavyweight championship in 1995 against Oliver McCall at Wembley Stadium. 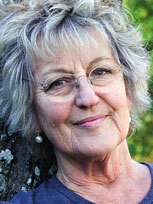 Germaine Greer is best known for being a major feminist voice of the mid-20th Century. Germaine Greer is an Australian theorist, academic and journalist, who is regarded as having been a major feminist voice of the mid-20th Century. 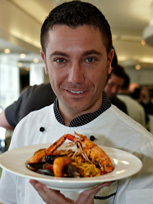 Gino D’Acampo is an Italian celebrity chef. Gino D'Acampo is an Italian celebrity chef and media personality, best known for his food-focused television shows and cookbooks. 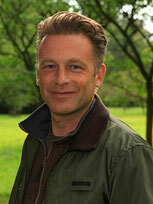 D'Acampo rose to fame as a regular chef on the ITV show This Morning. 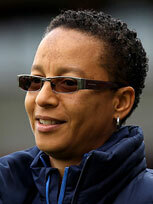 Hope Powell is the former Coach for the England women’s national football team. 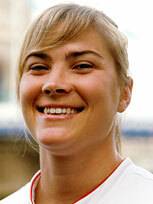 Hope Powell is an English former international footballer who was the coach of the England women's national football team and the Great Britain women's Olympic football team until August 2013. Jack Black is passionate, charismatic and inspirational. 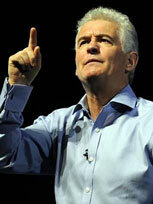 He has an enviable reputation as one of Europe’s leading authorities on personal development and is an internationally renowned keynote speaker. Over half a million people around the world have heard Jack Black speak or have participated in one of his programs. 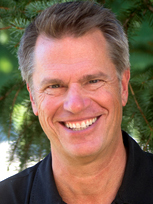 He is committed to providing unique and bespoke presentations, ensuring his audiences leave with easy to use yet powerful tools and techniques that directly improve their performance. 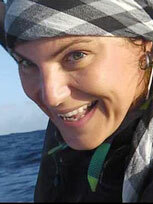 Janice Meek is a Guinness World Record holding adventurer, ocean rower, international motivational speaker and polar adventurer. Janice Meek is an unlikely adventurer who can proudly claim to be the only woman on the planet to have rowed across an ocean and walked to two poles. Janice now dedicates her life to public speaking, motivating others to achieve goals they never dreamed of, inspiring people regardless of their age, gender or size and fundraising for charity. 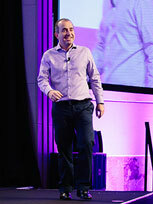 Jason Vale, also known as The Juice Master, is an author, motivational speaker, and lifestyle coach. 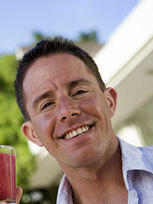 Jason Vale, aka ‘Juice Master’, is the best-selling author of eleven books on health, addiction and juicing. 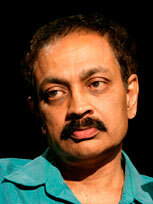 His books have now sold over 3 million copies and have been translated into many languages. His most well known book - 7lbs In 7 days: The Juice Master Diet - went to number one of all books on Amazon and on Play.com it even knocked the Da Vinci Code from the top spot. 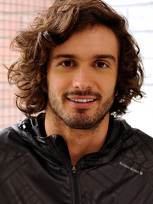 Joe Wicks is a British fitness coach, TV presenter and author. Joe Wicks specialises in cooking and fitness books. 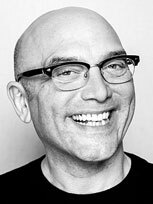 His first published cookbook Lean in 15: 15-minute meals was a best-selling book in 2015, having sold over 900,000 copies. 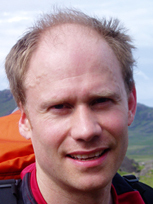 Marcus du Sautoy is best known for being an expert Mathematician and Charles Simonyi Professor of the Public Understanding of Science at Oxford University. 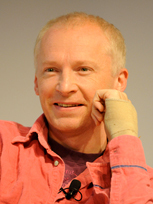 Marcus du Sautoy is the Simonyi Professor of the Public Understanding of Science at Oxford University. A natural communicator, he is especially passionate when it comes to popularising maths - showing how it affects every aspect of our lives from simple counting to any form of trade and even the homes in which we live. He looks at the maths that underpins the everyday world, from the internet, data analysis and communications to more surprising areas like sport and art. 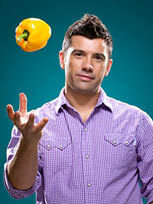 Mark is a critically acclaimed chef and restaurateur. 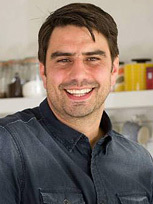 Celebrated chef, restaurateur and food writer Mark is known for his original take on British gastronomy, after 17 years as Chef Director at Caprice Holdings, he opened his first restaurant in 2008 - the distinguished Hix Oyster & Chop House in Smithfield, and has since opened a further five establishments including Hix Oyster & Fish House in Lyme Regis and the award-winning Mark's bar, and of course the latest Tramshed all to great critical acclaim. 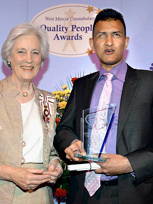 Michel Roux Jr is best known for being a world renowned chef. 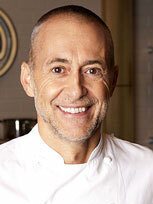 Michel Roux, Jr., is a French-English two-star Michelin chef at the London restaurant Le Gavroche. 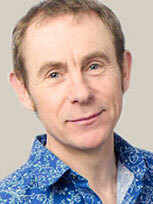 Nigel is best known for being the food and drink presenter for BBC London TV, Radio and Online. Nigel writes and presents on food and especially drink. 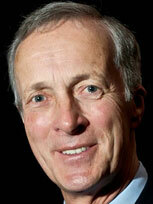 He also narrates power boat racing for Channel 4 and occasionally acts as rugby correspondent for BBC London. His passion for all kinds of booze has even taken him to the Edinburgh Fringe in a theatrical mission to make sherry trendy. 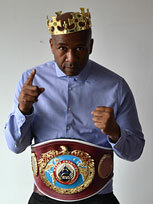 Paul Jones is the first British born boxer to win the world light middleweight title in history. Paul has won 5 championships belts in 3 different weight categories from light-middleweight, middleweight and super-middleweight but actually fought in a incredible 5 different weight. 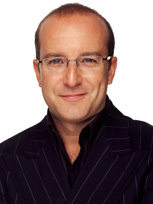 Paul McKenna is an English hypnotist, television broadcaster and an author of self-help books. 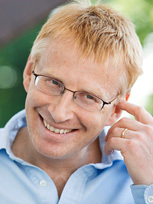 Dr Phil Hammond is a journalist, author, comedian, and GP. Dr Phil Hammond can talk seriously or humorously, and usually both, about any health and lifestyle topic. He has been an NHS doctor for 31 years, a comedian for 29 years, a BBC broadcaster for 28 years and Private Eye's medical correspondence for 26 years. 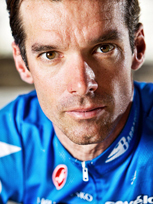 Rasmus Ankersen is a “high performance anthropologist” who lives and trains with some of the world’s best sportspeople. 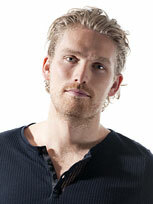 Rasmus Ankersen is a writer, acclaimed leadership and performance expert and ‘high performance anthropologist’. 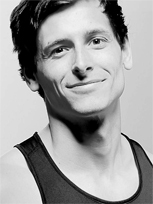 He has worked and trained with some of the world’s best athletes to understand and contribute to how they work. 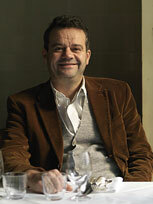 Raymond is a world class and internationally renowned chef and restaurateur. 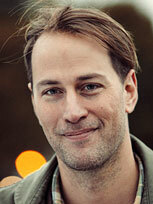 Raymond is a completely self-taught chef, inspired by his mother (fondly referred to as Maman Blanc). 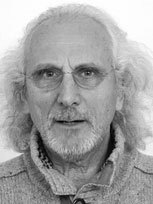 Raymond grew up in Besançon, near Dijon. 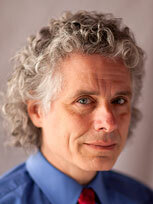 He arrived in England in 1972 and became a waiter at the Rose Revived in Newbridge, Oxford. When the chef fell ill, Raymond took over, and in 1975, he was promoted to chef. The rest, as they say, is history. 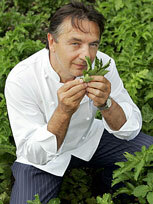 Raymond went from strength to strength, gaining the Rose Revived a Michelin Star two years later. He then worked all hours to save for his own restaurant; he opened Les Quat' Saisons in Oxford in 1977 and soon won a host of distinctions. 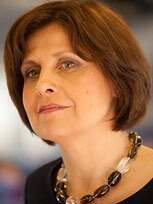 Rebecca Front is a comedy writer and performer, and an ambassador for the deaf-blind charity Sense. Rebecca Louise Front is a BAFTA award–winning English comedy actress and occasional writer best known for her performances in The Thick of It, and a series of satirical comedies in the early 1990s. Ruby Wax OBE is best known for her impact in the comedy scene; performing, presenting, and writing some of the UK's most memorable TV moments. 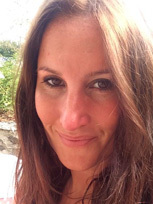 Ruby is now a Mental Health advocate, providing workshops to businesses and clients. Ruby Wax OBE had a prolific acting career: charming and chiding a melange of celebrities on her chat show, Ruby; acting as the voice of the Pope in BBC's animated series, Popetown; and performing as a part of the Royal Shakespeare Company. Since her acting career, Ruby has changed direction, now being a professionally qualified Psychotherapist and studied in Neuroscience. Ruby now offers business leaders and clientele workshops in developing a deeper and more direct level of communication with their clients and colleagues. 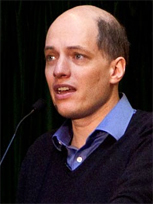 Company founder and CEO of ‘Laughology’, a unique, ethical, development tool built around the psychology of humour, laughter and happiness. 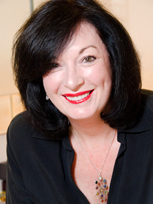 Company founder and CEO, Stephanie Davies has developed Laughology into the nation’s most talked about training and development provider and has gained an unsurpassed reputation for designing and delivering interventions for businesses, practitioners, clients, young people and adults. “Just as blueprints don't necessarily specify blue buildings, selfish genes don't necessarily specify selfish organisms." 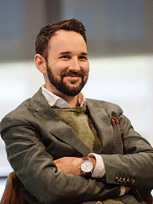 Toby Maguire is the Managing Director of Working in Balance, providing workshops and training on managing stress, work life balance, mindfulness. 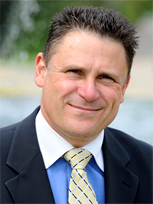 Toby is a Master Practitioner and corporate wellness trainer, educating people on the psychological effects of stress and the ways to reduce it so that you can work more productively and efficiently. Tom Kerridge is the incredibly popular and loveable chef patron at the extraordinary two Michelin-starred The Hand & Flowers pub in Marlow. 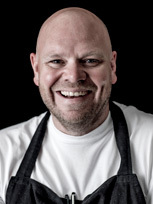 Tom Kerridge is a professional English chef who has worked mainly in the UK. After initially appearing in several small television parts as a child actor, he decided to attend culinary school at the age of 18. 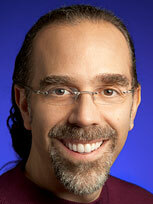 Victor is a professor and director for innovation and social entrepreneurship at the University of Michigan. 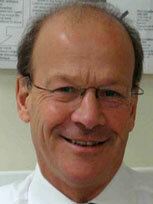 Vic Strecher has been a Professor at the University of Michigan's Schools of Public Health and Medicine since 1995. 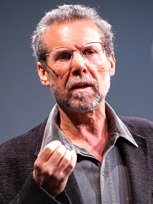 Dr. Strecher founded the UM Center for Health Communications Research, a collaborative research-focused organization of health and behavioral scientists, educators, software engineers, and artists. 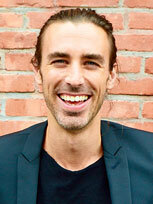 Currently, as Director for Innovation and Social Entrepreneurship, Dr. Strecher is working in the UM School of Public Health and the University of Michigan to create an environment that promotes more direct dissemination of research and teaching efforts to improve the public’s health nationally and globally. “Any ape can reach for a banana, but only humans can reach for the stars.” Ramanchandran is a inspirational behavioural neurologist and visual psychophysicist.